The demands were made through a banner that the Los Zetas faction known as the Cartel Del Noreste (CDN) hung in a central area of the city. The banner is addressed to Mexico’s President Enrique Peña Nieto and Secretary of the Interior Miguel Angel Osorio Chong. In a surprising twist, the message is signed on behalf of Miguel Angel (z40) Treviño Morales, the currently jailed top leader of Los Zetas. 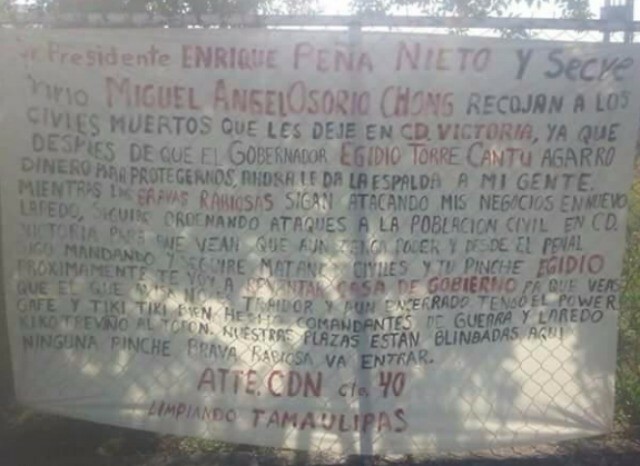 In the banner they claim that Tamaulipas Governor Egidio Torre Cantu has received bribes from the cartel but has recently stopped providing the protection they demanded. In response to the lack of protection and the rise of attacks against CDN businesses, the cartel has begun to murder innocent civilians, the banner states. Moments after the banner was hung, law enforcement sources in Tamaulipas confirmed that Torre Cantu increased the security at the governor’s mansion. 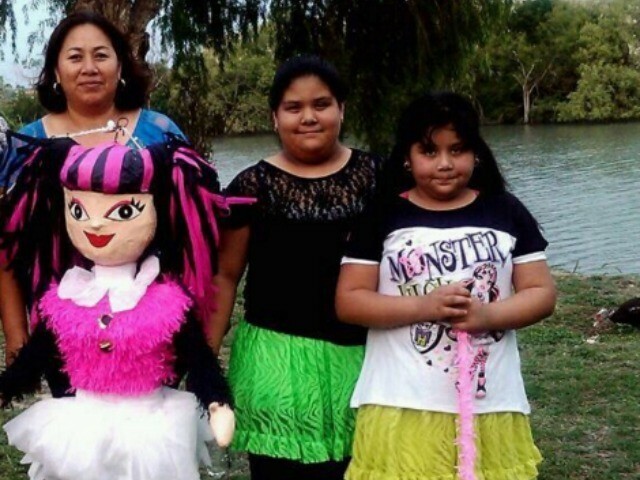 Over the weekend Los Zetas murdered an American woman and her two daughters along with multiple other children in a brutal series of attacks that left 19 dead over the weekend, Breitbart Texas reported. In their banner, the CDN takes credit for the massacre and even jokes about it. “Please come pick up the dead civilians that I left for you in Ciudad Victoria,” the message in the banner revealed. 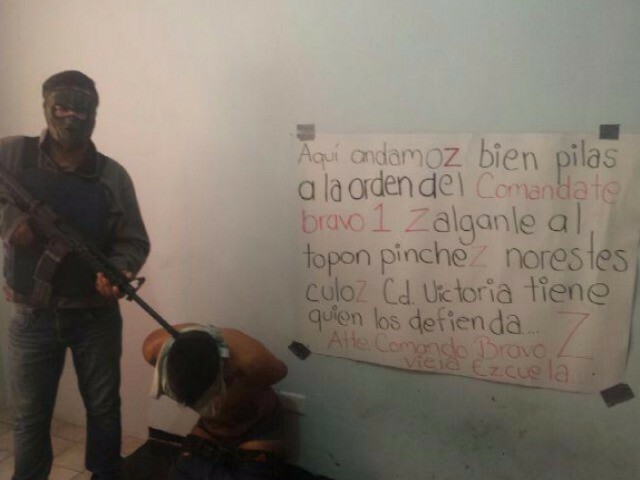 Currently Ciudad Victoria is ground zero for a civil war of sorts within the Los Zetas cartel; Breitbart Texas has been reporting on the struggle for the past eight months. A new faction made up of old time Zetas known as the Vieja Escuela (Old School) or Grupo Bravo has been trying to take control of lucrative territories from the CDN. The fighting has resulted in daily kidnappings, shootings, drive-by shootings, beheadings, dismemberments and other gory executions. In recent days, Grupo Bravo has made a push into the border city of Nuevo Laredo and has been targeting CDN businesses. In their banner, the CDN claims that as long as Grupo Bravo continues to attack their businesses they will continue murdering innocent victims. During the weekend, Grupo Bravo or Vieja Escuela claims to have murdered one of the gunmen who took part in the weekend execution of the women and children. Grupo Bravo disseminated a series of photographs that show them interrogating the gunman. Another photograph showed the man’s beheaded corpse.